Our company offers Electrical Insulators that mechanically support and electrically isolate discharge electrodes from collecting curtains and grounded ESP casing due their high voltage. Insulators are designed specially for high compressive strength that can provide support to the load imposed by electrodes and its associated framing. We are actively engaged in trading superior quality Electrical Insulators. Justifying our reputation in this market, we are readily immersed in the arena of offering to our patrons a broad consignment ofElectric Insulators. Hold / cold pipes and ducts aboard ships, in power plants, air conditioning plant and other industries are wrapped in glass fabric because of its non-combustibility and low co-efficient of thermal expansion. 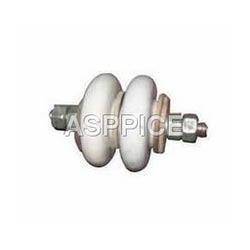 Available with us is a diverse range of Insulator, which finds application in electrical industry. 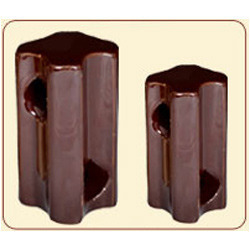 Manufactured by a reputed company Jayshree, this Insulator is known for its durability and excellent finish. Our quality controllers inspect all the products before sourcing it from the manufacturers. An DC Generator is a machine which converts mechanical energy (or power) into DC energy (or power) Our DC Generators are of simple construction, long life and easy availability of spares through a wide network of service centers make them the preferred choice in critical applications like telecom, and other industries. - "Large disk to prevent shorts due to insects. - Teardrop" designs to prevent water build-up. - Smooth surface area suitable for aluminum wire.